As the leading hedge fund services provider worldwide and a global proponent of gender parity, EY is proud to sponsor this edition of the 50 Leading Women in Hedge Funds report. We congratulate the fifty extraordinary honorees who have been selected by The Hedge Fund Journal. They are an elite group of professionals who are leading by example and shaping the future of the industry. At the heart of progress, we must constantly evaluate the role that women play as a vital talent resource, one that contributes to economic growth and prosperity. Based on the World Economic Forum Global Gender Gap Report (2017), the gender gap across the world widened for the first time in a decade in 2017. At this rate, it will take another 217 years for women to achieve gender parity in the workplace. It is high time we translate into action the power our organizations hold to be influential platforms for far-reaching social change. We can be the catalyst for change – and together with our communities, partners, customers and employees – build a better functioning world with equal opportunities and rights for everyone to succeed. Ultimately, we can build a better working world for us all. We believe it is imperative that today’s organisations appreciate that women’s advancement and leadership are central to business performance and economic growth. At EY, gender parity is a priority. We are proud to have earned the distinction of being the leading professional services firm for diversity and inclusiveness. We have been on Diversity Inc.’s Top 10 Companies for Diversity for five consecutive years, were named the #1 firm on their 2017 Top 50 Companies for Diversity list – which considers metrics such as hiring, retaining and promoting women – and have been named in the Working Mother’s Top 10 Best Companies List for 12 years. Also, in 2018 and for the fifth consecutive year, EY has been named one of the “NAFE Top Companies for Executive Women” by the National Association for Female Executives, which honors American corporations that identify and promote successful women. We are also incredibly proud of our strategic collaboration with Girls Who Code, a program that teaches thousands of young women in the US about such things as mobile app development, robotics and web design. And our global platform, Women. Fast forward, strives to accelerate the inclusion of women in the workforce, and calls upon others to put gender on their agendas. Through personal commitment and purposeful action, we can create a ripple effect that not only advances women in the workplace today but also redefines opportunities for future generations. Together we can forge a lasting legacy of growth, increased prosperity and stronger communities throughout the world. 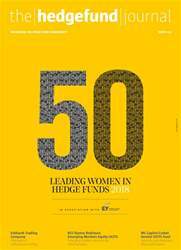 With this, let us take the opportunity to recognize and congratulate the truly exceptional women represented in the 2018 edition of the 50 Leading Women in Hedge Funds report – not just because they are women, but because they exemplify success and leadership, and are an inspiration to others. This is the sixth edition of our 50 Leading Women in Hedge Funds report, again generously sponsored by EY. Our report highlights women leading all verticals in hedge funds, allocators to hedge funds and associated service providers. We feature portfolio managers as well as a wide range of C-suite roles – CIOs, CROs, CEOs, CFOs and COOs – along with general counsel, HR professionals, sales, marketing and business development professionals, and investor relations professionals. Some of the women in this report wear multiple hats. The majority have studied one or more of: finance, economics, MBAs, accountancy or law; some are also CFA and/or CAIA charterholders. Asset managers in this report run between $1 billion and $40 billion in alternatives. Most of the women work in the key hedge fund centres of the US and UK, and several of them immigrated from emerging market countries, such as Brazil, Russia, India and China. ESG (Environmental, Social and Governance) investing is spotlighting workforce diversity, because institutional investors research this as part of their due diligence process – and ESG assets globally could be as high as $8 trillion on some measures. Criteria for assessing gender diversity include gender ratios in boards and C-suites, pay ratios, hiring and promotion, mentoring, training and leadership development, flexible working – and the more intangible metric of “company culture”, which is sometimes seen as the greatest obstacle to women’s professional advancement. Very seldom if ever does this publication report anything “off the record” but we would like to make one exception: some firms in this report, and elsewhere in the industry, have told us that they do not get enough job applications from women. Misperceptions of corporate culture may deter some women from applying. Retail investors are also paying more attention to ESG, with women themselves – along with millennials – more likely to consider ESG factors when making personal investments. This is relevant in the context of some “liquid alternatives” products managed by some firms in this report. As women live longer than men, and millennials are by definition younger, few far-sighted asset managers can afford to ignore ESG – or indeed overlook half of their potential talent pool. A growing number of alternative asset managers are signatories of the United Nations Principles for Responsible Investment (UNPRI) and have articulated their own distinctive ESG policies. Industry associations are also on the case. In March 2018, the Alternative Investment Management Association (AIMA), which many hedge fund managers and other related firms belong to, signed the Women in Finance Charter and set up a member-led Diversity and Inclusion Steering Group. As the alternative investment management industry ramps up its efforts to redress gender imbalances, it is a tough task for us to select fifty (mainly new) names from the growing volume of high calibre nominations – gathered from our network of hedge funds, institutional investors, industry experts and service providers – that make it on to our long list. The customary caveat that many not in this year’s report are worthy of inclusion should be repeated. We limit the number of repeats to five or six, so it is worth revisiting women from previous reports. Though the report may be perceived as a “ranking” or a list of “top” women, it is neither. Nor is it an exclusive list. The featured women are examples of leading women who, by virtue of the senior roles they fulfil, should be an inspiration to those following in their wake. The women are presented in alphabetical order by surname. Olwyn Alexander is the first woman, and the first Irish national, to become PwC’s Global Asset and Wealth Management Leader, attaining the position in September 2017. Her role covers EMEA, the Americas and Asia Pacific. She was previously Global Alternatives Leader at PwC. Alexander works with clients in the alternative investment industry, in the set-up, early stage and expansionary stage of their businesses. Many clients are hedge fund managers based primarily in the UK and the US. Alexander has focused on hedge fund valuation and developing sound practices with AIMA and IOSCO. 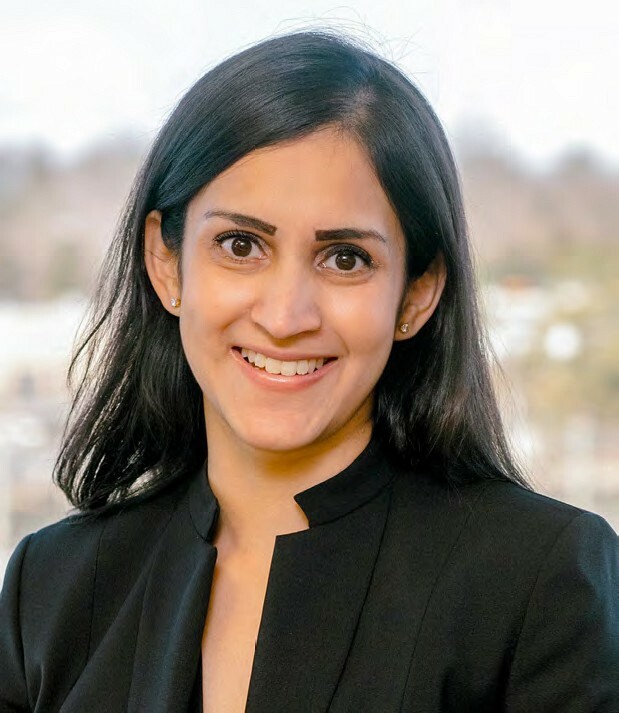 Her twitter feed, @OlwynAlexander, shows how PwC’s thought leadership agenda spans sustainability, digital technology, artificial intelligence and algorithms, blockchain, machine learning, talent and workforce management. It also addresses diversity and gender equality – not least when PwC has expressed concern about the dearth of women in STEM. Alexander has been elected to the Council of the Alternative Investment Management Association (AIMA) since 2012 and has been a board director for CFA Institute Ireland since 2005. She graduated with a Bachelor’s in Commerce and Accounting from University College, Dublin. She is a CFA charterholder.